Posts by drbalog | Gregory A. Balog, D.D.S. One of the biggest contributors to tooth decay is dry mouth. Combine dry mouth with sugary drinks like juices, sodas, teas or sweetened coffees and the likelihood for tooth decay or cavities increases dramatically. While you may just see dry mouth as an annoyance, it’s much more than that, and if left untreated, it can cause further oral health concerns. According to the American Dental Association (ADA), 30% of patients 65 and older are affected by dry mouth. The figure increases the older a patient gets, but this isn’t merely because of age but because of other circumstances associated with aging like increased likelihood of being prescribed one or more medications. As is often the case with health issues, dry mouth can be caused by a combination of factors. Some of those factors include: tobacco and alcohol use, aging, medications, nerve damage, cancer treatments and more. The impact on your teeth and mouth can be uncomfortable if dry mouth is left untreated. Some of the complications include mouth sores, an increase in plaque, tooth decay, gum disease, cracked lips and more. Dental Hygiene: Regular brushing, flossing and rinsing of your can help protect your teeth from plaque buildups and ultimately cavities. However, avoid mouthwashes that have alcohol in them. Diet & Food Choices: Drink plenty of water, limit caffeince intake, stop using tobacco products and limit the consumption of high sugar drinks. Professional Maintenance: See a professional dentist regularly to monitor and maintain your overall oral health, but also to get professional advice on how to best treat dry mouth. If you think you might have xerostomia, contact us today to make an appointment and we’ll discuss potential treatments and strategies for addressing it. From eating to smiling to talking, our teeth and mouth play a big role in our day-to-day life. So why not protect them for any potential issues or disease that could arise? This is the overall objective of preventative dentistry. According to the American Dental Association, 42% of Americans said they don’t see a dentist as often as they would like. That’s almost half of the population who are likely not seeing the dentist every 6-months as recommended. These checkups have the potential to pinpoint issues before they become major problems. This is a very simple and manageable dental approach and research shows that it pays off in the long run. 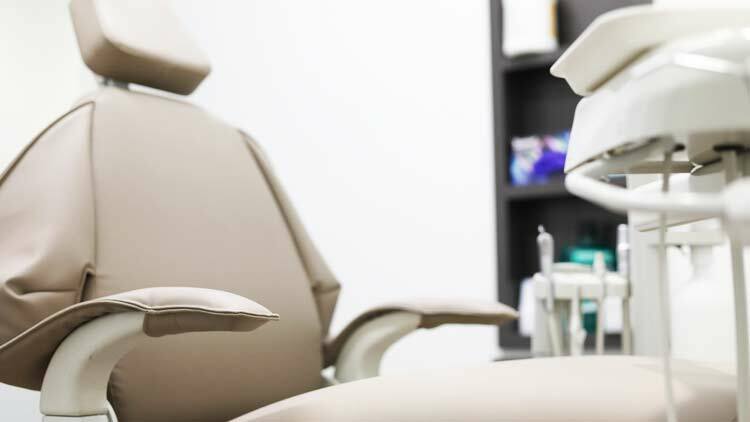 According to a study from Cigna, every dollar spent on preventative dental care could save $8-$50 in restorative and emergency dental treatments. In other words, regular dental care and good dental hygiene practices minimize the chance of undergoing some expensive treatment or procedure. Children have the most to benefit from this kind of preventative dental care. According the Center for Disease Control (CDC), 20% of children aged 5 to 11 years have at least one untreated decayed tooth. The longer these cavities go untreated, the greater the likelihood for pain and other complications. While we can’t guarantee the prevention of dental issues, we can at the very least decrease the odds of many of the most common ones. And when we catch issues in the early stages, we have a much better chance of treating them effectively. If you don’t already have a plan for your long-term dental health, it’s time to make one. Make an appointment today and we’ll help you identify a dental strategy that works for you. Nobody likes having it or smelling it on someone else, but pinpointing the cause of your bad breath (halitosis), can sometimes be a challenge because there are some many factors that can contribute to it. In some cases, brushing and mouthwash simply isn’t enough. Food: Some foods have more odor than others, especially when you start to break them down by chewing. Garlic, onions and others will make almost anyone’s breath smell and it won’t go away until the food is completely digested. Not Brushing/Flossing: While brushing and flossing won’t necessarily remove the smell of the garlic you just ate, in the long term it will help minimize your bad breath. Food particles can get stuck between your teeth, gums and on your tongue and if you don’t brush, these particles will start to smell. Tobacco Products: Smoking and chewing tobacco not only can stain your teeth and damage your gums/mouth, they are also often a cause of bad breath. Gum (Periodontal) Disease: When plaque buildups on your teeth and goes untreated, gum disease may follow. Persistent bad breath could be a sign. Other Causes: Poorly fitting dental appliances, cavities, mouth infections, and a number of other diseases and illnesses can cause bad breath. Brush twice a day and don’t forget to brush your tongue too. 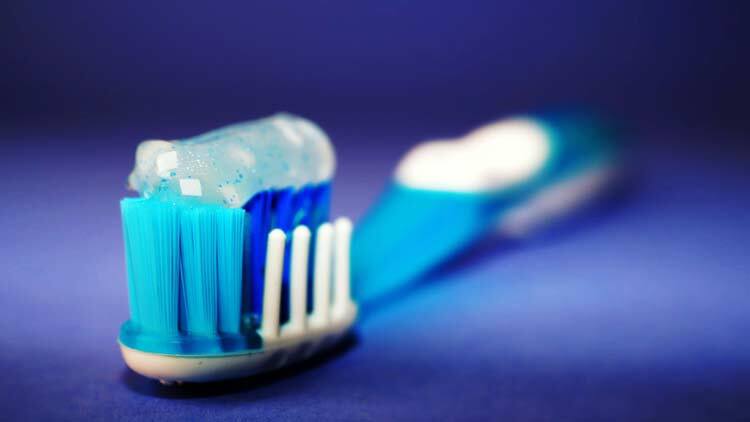 Replace your toothbrush regularly. Try to every 2-3 months. Floss regularly to remove those food particles from your mouth. If you’re having issues with bad breath, come in for a check-up and we’ll evaluate other options. Contact us today. When we feel comfortable with our smile, it shows. We have more confidence and we find more reasons to smile, which makes for a more enjoyable day. The opposite is true as well. If we don’t like our smile or don’t like the way our teeth look, we end up hiding our teeth. For some, teeth naturally discolor and get worn out, even if we don’t regularly eat or drink foods that cause this. Sometimes it can be genetic as well. Regardless, modern dental technology and procedures allow us to revitalize a smile with minimal pain and inconvenience to the patient. Veneer preparation involves the removal of a small amount of tooth structure. An impression is taken in order to fabricate custom veneers. Once your permanent veneers arrive, they are bonded to your teeth. See below for an explanation of dental veneers from the American Dental Association (ADA). If you would like to learn more about dental veneers, please make an appointment for a consultation. Fluoride treatments and fluoride intake are the most common ways dentists and patients can prevent tooth decay. From professional fluoride treatments to over-the-counter toothpastes and rinses with high fluoride levels, fluoride is one of the best treatments for a variety of common dental issues. Fluoride is a naturally occurring in soil, water and many foods, but often not at levels to protect or improve the health of your teeth. However, most public water sources add additional fluoride in order to bring the levels up to what the Center for Disease Control (CDC) recommends. Studies have found that in counties where fluoridation of the water supply was rare, the rate of fillings, root canals and extractions were much higher compared to counties where fluoridation was common. In other words, the absence of fluoride in water or fluoride treatments can have a major impact on your overall dental health. When it comes to the fluoride treatment itself, there are many ways to go about it. Fluoride can be applied to the teeth as a gel, foam or varnish. We offer an in-office fluoride treatment, and you can also apply fluoride to your teeth at home via fluoridated toothpastes and mouth rinses. While there are some over-the-counter mouth rinses containing fluoride, they are usually at lower strengths. When appropriate, our dental office in Monroe, MI can provide prescriptions for higher strength fluoride treatments. The American Dental Association (ADA) also recommends fluoride intake for infants and children between the ages of 6 months and 16 years. During this time, primary and permanent teeth are developing and fluoride becomes incorporated into the development of permanent teeth. This makes it difficult for acids to demineralize the teeth. Consult your dentist before incorporating any fluoride treatments for your children. Make an appointment today to see if a fluoride treatment could benefit your overall dental health. Given all that we know about the importance of good dental health and regular visits to your dentist, a surprisingly large amount of people don’t regularly see a dentist for check-ups and cleanings. According a 2016 study from the Center for Disease Control (CDC), 35.6% of US adults ages 18 to 64 haven’t been to the dentist in the past year. Cost: Many don’t visit the dentist every six months because they don’t have dental insurance and/or they think a visit to the dentist is too expensive. The reality is that dental care doesn’t have to be extremely costly, especially if you are already taking good care of your mouth and teeth. This spans everything from eating healthy, to avoiding high-sugar drinks and smoking, to flossing and brushing regularly. A healthy lifestyle will minimize your chances for any major dental procedures down the line. Anxiety & Fear: Whether it’s from portrayals of dentists in Hollywood, or the simple fact that you are letting another person put their hands and instruments in your mouth, some people get anxious when needing to go to the dentist. Regardless of what created these fears, most day-to-day dental procedures are painless. More importantly, patients should find a dentist and dental office that is comfortable, welcoming and offers a calming atmosphere. The right dentist and staff can go a long way in overcoming these dental anxieties. No Time: The world moves very fast these days and people often find themselves with no time to spare. Between work, kids and a host of other responsibilities, the dentist is a distant thought for some. However, some dental offices are dedicated to driving down wait times for their patients. Ultimately, visiting the dentist is only a commitment of 30 minutes to one hour every six months. While other reasons for not going to the dentist exist, the consequences of not seeing a dentist regularly can be great. Often when it comes to our dental health, complications and problems build slowly over time. That slightly uncomfortable tooth will turn into a nagging pain which can end up being a dental emergency. Preventative dentistry is the best protection from these issues. Additionally, studies have found that poor oral health may be linked to heart disease and stroke as a result of oral bacteria making its way to the bloodstream. Dental check-ups every six months will help you prevent these issues before they become major pains both physically and financially. If you haven’t been to the dentist in over six months, click here to make an appointment today. It definitely sounds more significant than it is, however, the potential symptoms that commonly precede an occlusal adjustment or bite adjustment procedure can be uncomfortable. 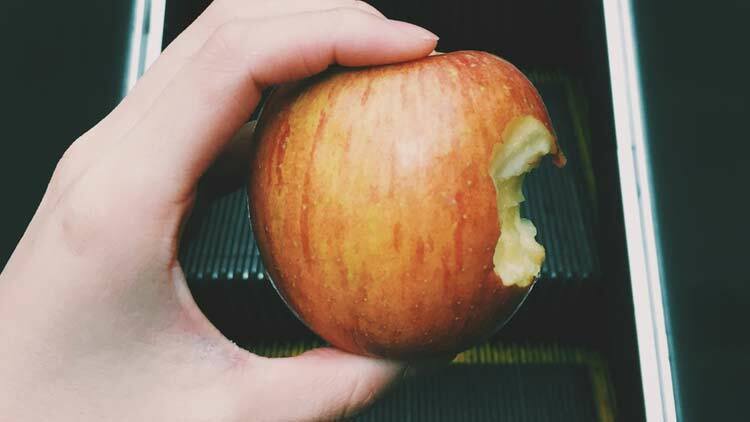 From popping and clicking noises when opening and closing the jaw, to uneven wear on the enamel, more likely than not, you’ll be able to recognize when your bite isn’t aligned. If left untreated, the misalignment may result in you unconsciously clenching, grinding or gnashing your teeth while awake and during sleep. This is known as bruxism and can lead to headaches, neck aches, jaw pain and even cracked or worn teeth. To prevent these uncomfortable symptoms, it is important to see your dentist at the earliest signs that something isn’t quite right with your bite. At each visit we check for any misalignments that might require adjusting. When Dr. Balog asks you to bite down and smile, among other things, he is looking to make sure the bottom and top teeth rest comfortably and evenly on each other. Simply put, a bite adjustment corrects the alignment of your bite and evenly distributes it to eliminate irregular pressure on one side of the mouth. Sometimes tooth sensitivity may be corrected through an occlusal adjustment as the treatment reduces pressures on sensitive teeth. The process for an occlusal adjustment is easy and convenient. We utilize articulating paper to mark the teeth where the points of contact are during biting and grinding. This allows us to notice the slightest irregularity and make only the adjustments that are necessary. Once we have identified the irregularities, we eliminate the interference by smoothing the tooth or teeth until the bite is realigned, often resulting in improved patient comfort. However, to prevent any future wear on the teeth, we may recommend a bit guard for sleep. If you’re noticing any irregularities when you bite down or general discomfort, please make an appointment today. At our office we are committed to staying on top of the latest data and research coming from the American Dental Association (ADA) as it relates to dental best practices, industry standards and product recommendations. Just recently we switched the toothpaste brand we give to our patients based on recent findings and research. But to most, it probably seems like these changes are somewhat random. The truth is, our recommendations and shifts in procedure practices, don’t come quickly. There’s a very extensive amount of research and discussion that goes into these decisions. 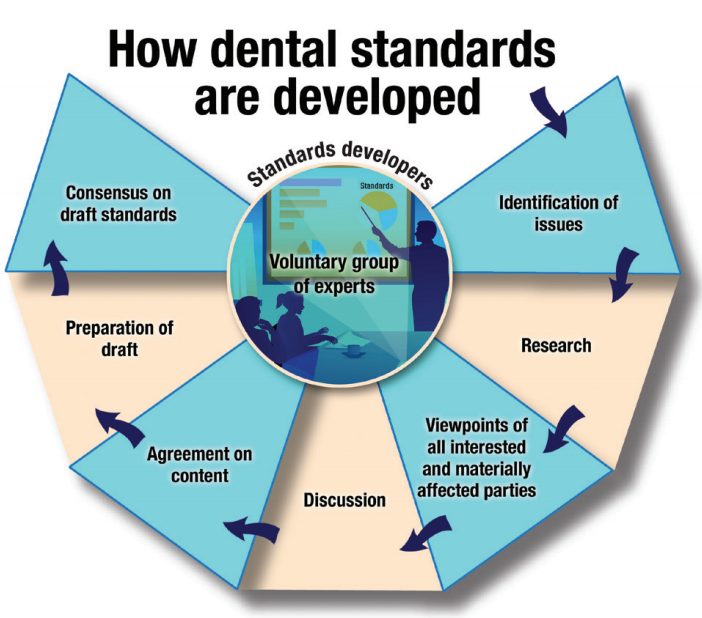 Through comprehensive analysis, the ADA establishes baseline standards and technical recommendations for almost every tool of modern dentistry, from radiographic systems to sealants to manual toothbrushes. Our mission is to ensure the highest level of patient safety and professional satisfaction through the publication of clear industry standards for both dental products and dental informatics. Define or provide specific technical requirements for a material, product, process, procedure, service, policy, etc. Provide definitions, dimensions, terminology, symbols, test methods, performance or safety requirements, etc. Are clear, concise, unambiguous and easily understood by those not involved in its development. Facilitate the improvement and quality of oral health and the safety of dental care. Decayed or decaying teeth can lead to severe pain, making it difficult to chew. If left untreated, the decay is likely to worsen which can cause even more pain and increases potential for infection. 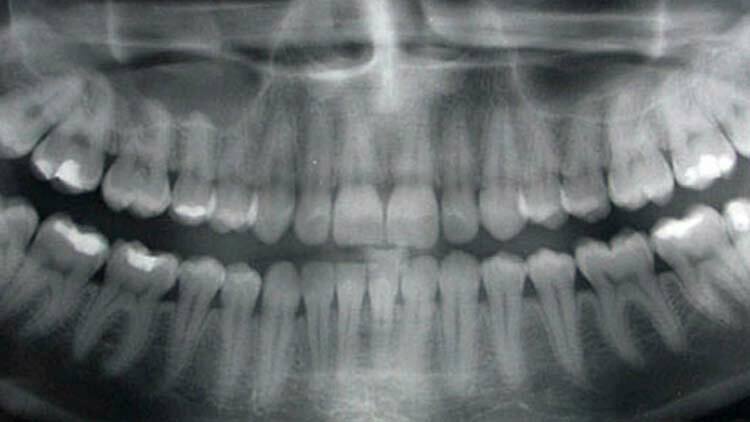 This could result in a root canal or even extraction. 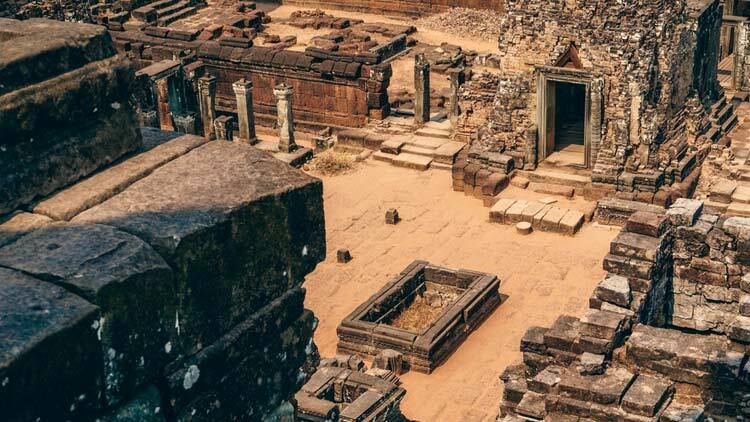 It’s not surprising that there has been evidence dating back thousands of years of humans using organic residue to fill cracked, broken or worn-down teeth. According to an archaeological team in Italy, in 2017 they discovered evidence of decayed teeth that were manipulated, using an organic residue filling dating back between 12,600 and 13,040 years ago. The theory is that humans were shifting away from being hunter/gatherers as understanding for agriculture became more available. This shift resulted in a shift in diet as well, with an increase in carbohydrates that is theorized to have led to more teeth and mouth problems. We’ve been doing Composite Fillings for over 30 years, and our practices have definitely come a long way compared to our early human ancestors. Fillings 13,000 years ago were found to resemble a “tar-like hydrocarbon mixture” that was accompanied by plant fragments and even hair! Luckily, we’ve moved away from hair-based fillings, and our dental fillings are made of tooth colored, composite resin that protect the tooth from infection and further decay. If you think you need a dental filling, or want to know your treatment options for a decaying, cracked, broken or worn down tooth, contact us today to make an appointment.